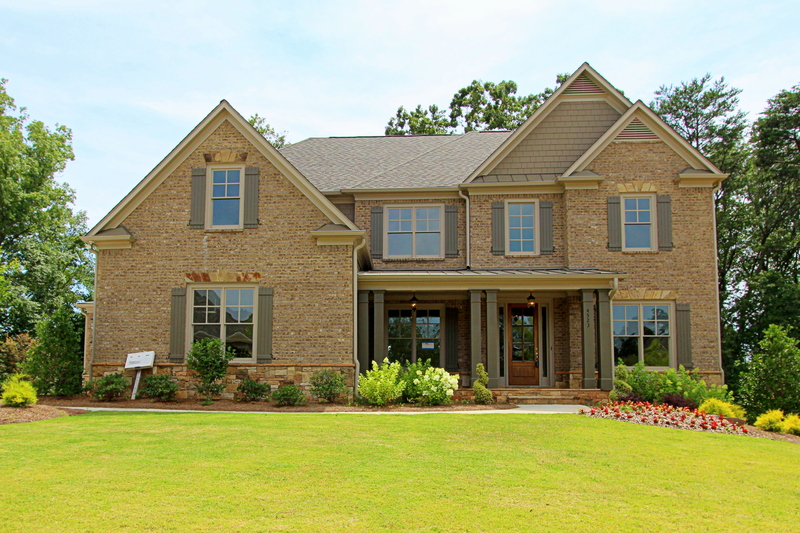 With an intimate layout and naturally beautiful setting, Princeton Grove is one of Cobb County’s most desirable places to live. 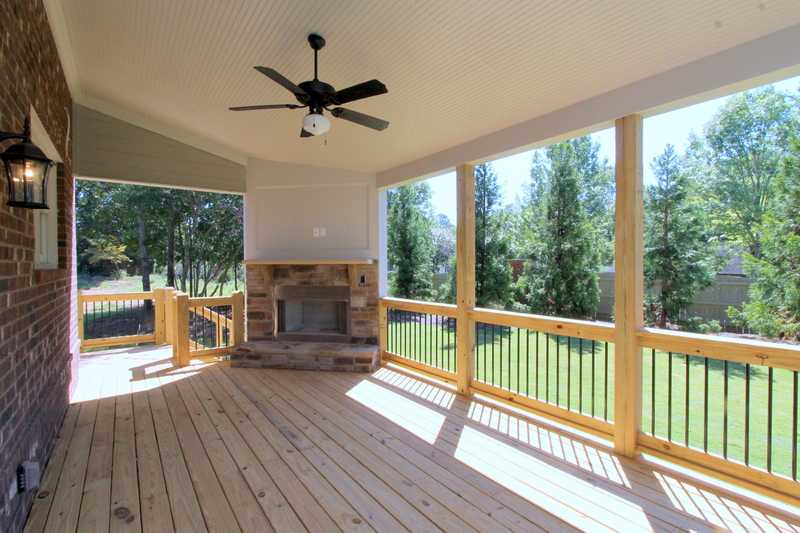 The home sites are ideal for a backyard barbecue and easy to maintain so you’ll have more time to entertain or play. Select home sites offer expansive terrace levels, abundant with natural light and perfect for your customizing touches. Princeton Grove offers an enclave of 10 homes sites and at least seven fantastic floor plans, each quality crafted and beautifully detailed. Two story family plans with large guest rooms on the main floor are featured, as well as inviting home plans with sprawling master bedrooms on the main floor. Princeton Grove has a home plan ideal for everyone here and Cotton States can build a home specifically designed for you. 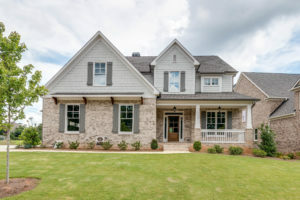 Tucked away among winding roads and nearby green pastures, this stunning community is also in a superlative East Cobb school district. Homes start in the mid $500’s and are sure to increase in value as each year goes by. Cotton States is proud to have built homes in Cobb County since 1972. 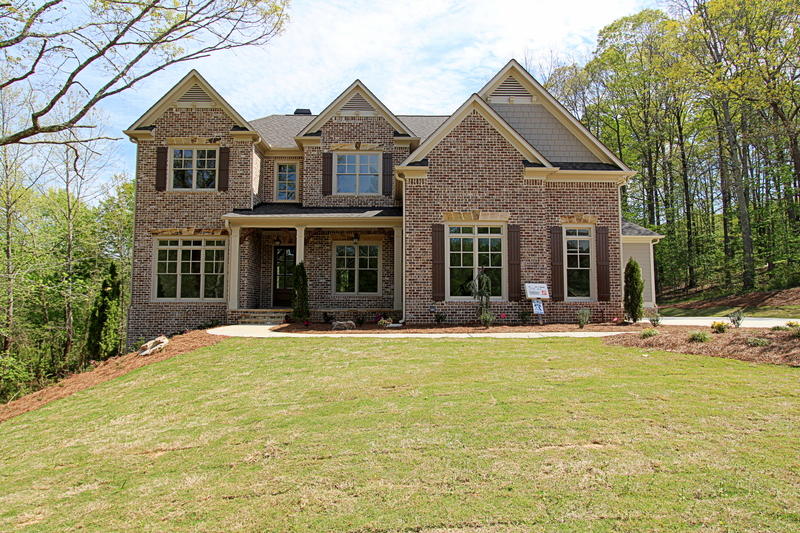 We continue that same tradition today with our quality crafted homes. Our numerous communities are situated in some of the most outstanding school districts in the US! 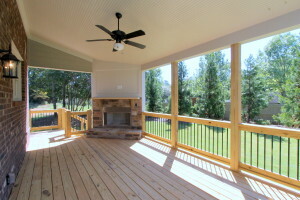 Let us build your next home in a sought after Cotton States community. More than one in four of metro Atlanta’s best high schools on the U.S. News & World Report’s 2017 list for Georgia are in Cobb County. The district had eight of the 30 metro area schools listed as tops in the state, starting with Walton High, ranked fifth in Georgia and 204th in the nation. Lassiter, Pope, Harrison, Hillgrove, Wheeler, Kennesaw Mountain and Allatoona high schools also made the list, in that order. The rankings are based on how student performance on state tests compares to schools with similar proportions of low-income, black and Hispanic students. They also take into account graduation rates and how many students take AP exams and pass at least one. More than 60 Georgia high schools are ranked among the best in the country under the U.S. News & World Report’s 2017 Best High Schools list. But no Georgia school was among the top 50 under the U.S. News rankings. With our unseasonably warm fall days, it’s hard to imagine that winter will soon be upon us. It’s time to prepare now. Cotton States and State Farm wants you to be ready this season with few helpful tips on preparing your house and BEING prepared for the upcoming winter months. The comforts of a cozy, warm home in winter can help you forget about the short days and the multiple layers of clothing. Following a maintenance schedule throughout the year will certainly benefit you in the winter, but it’s important to be aware of the hazards the cold conditions can bring to your home. These guidelines can help you weather the winter season with a well-maintained home. Since your heating system will probably be running constantly throughout the winter, remember to change out your HVAC filters every month. Inspect the insulation in your attic and crawlspace. Warm air rises and leaves the house through the roof, so you should focus on insulation in your ceilings. Seal areas around recessed lights, the attic hatch, and plumbing vents that may be allowing warm air from the living space below to enter the attic. Proper attic ventilation, adequate attic insulation, and a tight air barrier between the attic and the interior of the house will work together to prevent ice dams. If you don’t have double-paned windows, remove the screens and install storm windows to ensure that the heat stays in and the cold stays out. If you’re on a tight budget, pick up an inexpensive plastic-film sheet kit from your local hardware store. These will only last one season, but they do help with energy efficiency and are able to halt the cold flow of winter drafts. If you have a fireplace, burning firewood is another way to save energy costs. When you use the fireplace, reduce heat loss by opening dampers in the bottom of the firebox (if provided) or open the nearest window slightly — about an inch — and close doors leading into the room. That will prevent the fire from drawing warm air out of the rest of the house and replacing it with cold air. ‘Tis the season to be festive, but remember to stay safe with your holiday decorations. Inspect the wires of your light display before switching them on—they may be frayed and present an electrical fire hazard. Same goes for the Christmas tree inside – always check the light strands for any sign of wear and tear from being in storage. If you have a real Christmas tree, keep it watered, since dry trees catch fire easier. Check with your local municipality for instructions on how to dispose of the tree once the new year arrives. The Management and Staff of Cotton States Properties is sending thoughts and prayers to all those millions of people who were adversely affected by Hurricane Harvey and Hurricane Irma. Although these storms are now over, we are still in hurricane season and winter will be on our door step. 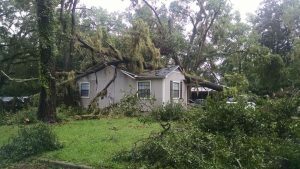 Below you will find 10 steps written by Sandra Pawula on how to prepare for a natural disaster. We hope these tips will help you and your family prepare for what might come your way. So how do you prepare for a disaster? This is what I’ve learned from my recent research. Disaster preparedness is actual complex if you start thinking about actions like bolting down your gas water heater and bracing overhead light fixtures. All these types of actions are important to consider, but the first step is to create a disaster preparedness kit. The following tips cover only the essential items you need to help you cope in response to a disaster. There’s more to consider, but these steps will give you a good start. Remember, the bottom line is water, food, and shelter. In Japan, more than 2 million people are without water. Another 500,000 are homeless. These are real possibilities. So focus on the priorities first. Then, add the other items to your kit. Keep your supplies in an easy to carry kit. There’s actually quite a lot on this list so use your imagination when it comes to an appropriate container. Store your kit in an accessible place, one that will be within reach once a disaster strikes. It’s also wise to have a set of basic emergency supplies in your car and at work. 1-2 gallons of water per person, per day. A 3-day supply for evacuation, a two-week supply at home. Easy to prepare, non perishable items and a mechanical can opener. Canned soup, meat, vegetables, and fruit. A 3-day supply for evacuation, a two-week supply at home. For food preparation, have on hand a simple barbeque, charcoal and starter fuel or 1 propane unit with 2 canisters of propane and some basic cooking utensils. Don’t forget waterproof matches or lighters. An emergency blanket, sleeping bag or regular blankets, and tent. First aid kit, a supply of essential medicines for at least a week, other crucial medical supplies like an inhaler. Flashlights, extra batteries, and extra bulbs. Candles. Waterproof matches or lighter. Cash machines won’t work without electricity. Have a minimum of $50 on hand in small bills plus phone change. Although a cell phone may not work in a disaster, it might also be your line to life-saving support. Toilet paper, toothbrush, soap and other essential supplies. Driver’s license, birth certificate, passports, insurance policies, proof of address or lease, medication list and medical information, copies of credit cards, checks. Everyone’s situation will vary so you need to adapt the list to your own circumstances and the types of disasters that might occur in your region. If you are able to drive, there’s no guarantee you will be able to obtain gas since fuel pumps depend upon electricity. have one household member trained in first aid and CPR/AED. Overwhelmed, hesitant, or indifferent? Some of us find it challenging to prepare for a disaster. What holds us back? The Vizier explored this question in his excellent article 5 Factors that Hinder Preparations. You might want to start there if you find the thought of disaster preparation difficult to embrace. I suggest tying to prepare in a simple but complete way. Do only the necessary without going overboard. Given the fragility of the environment, it’s not useful to over-buy unnecessary, ecologically unsound items. Not all the supplies above will necessarily make the grade from a green living perspective. I would love to hear your suggestions for a greener approach to disaster preparedness. There’s more to disaster preparation that this basic list, but I hope this list will inspire you to begin or fine tune your preparations further. Life is precious. Preparation saves lives. It’s that simple. Resource: The Red Cross offers a full range of Emergency-Specific Preparedness Information. Whether you need to prepare for a tsunami, earthquake, winter storms, oil spill, or another threat, you will find the comprehensive information you need at the Red Cross. 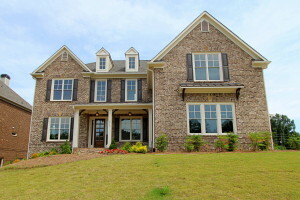 Cotton States Properties offers stunning quality crafted homes in 4 beautiful communities of East Cobb. 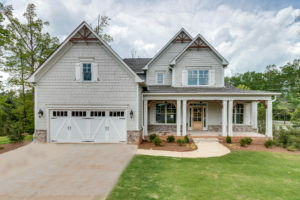 Visit Highlands Ridge Estates, Childer’s Manor, Wesley Manor, and Princeton Manor and discover the beauty of ours homes in what Money Magazine calls “East Cobb, Georgia’s Best Place to Live”. When you brag to your friends about East Cobb being awesome, you can now say a national magazine agrees. The area was named the top spot to live in Georgia by Money Magazine in its “Best Places to Live in America” list released Monday. This year’s list included all 823 municipalities with populations between 50,000 and 300,000. Then they sorted through almost 300,000 demographic data points, cutting first the 100 places with the lowest predicted job growth, the 200 communities with the most crime and any place “without a strong sense of ethnic diversity (more than 90 percent of one race),” according to the magazine’s website. They looked at home values by comparing median property values with median household incomes and singled out communities with strong local economies and low taxes. They also considered accessibility to health care, culture, “strong public schools” and sports. And to correct for “geographical biases,” they limited the list to have no more than four places per state and one per county. “Reporters spent time in each town, interviewing residents, checking out neighborhoods and searching for the kinds of intangible factors that aren’t visible in statistics,” the magazine said. Apparently East Cobb was on its best behavior when reporters came. 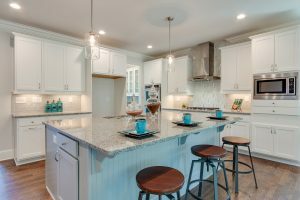 1) Choose the Designs YOU Prefer: Why settle for someone else’s choices when you can choose what fits your tastes and desires including, countertops, appliances, lighting, carp flooring and more? Your new home will be a reflection of your tastes and style, not someone else’s. 2) Choose a Floor Plan and Room Layout that Meets Your Needs: Whether you desire an open floor plan, owner’s suite on the main floor, large outdoor living room, or guest room on the main floor, you have the ability to choose what the home’s layout best fits your lifestyle and family. 3) All New, Under Warranty: With a resale home, you’re likely to have large ticket items such as a roof, water heater, HVAC systems and more, that may need replacing in the near future. New construction not only gives you a home warranty, but also gives you piece of mind that it’ll be years before you have to consider replacement on anything regarding your new home. 4) Energy and Cost Savings: Your new home is far more energy efficient than homes built just 5, 10, 20 year ago. There’s no need to settle for drafty, energy-wasting, single-pane windows with a resale home? New homes today offer double windows, high efficiency HVAC systems, water saving features and Energy Star Appliances. What does that mean for you, the NEW home owner? Less money paid for utilities, more money left in your pocket. 5) Comfort and Indoor Air Quality: New homes of today meet stringent energy standards and codes not in place in the past. They combine high-performance energy efficiency with state-of-the-art ventilation and air filtration. The result is year-round, draft-free comfort and higher indoor air quality. 6) Low Maintenance: Technology today has brought us a more efficient way of living from computers to cars and New Homes Homes are the same. 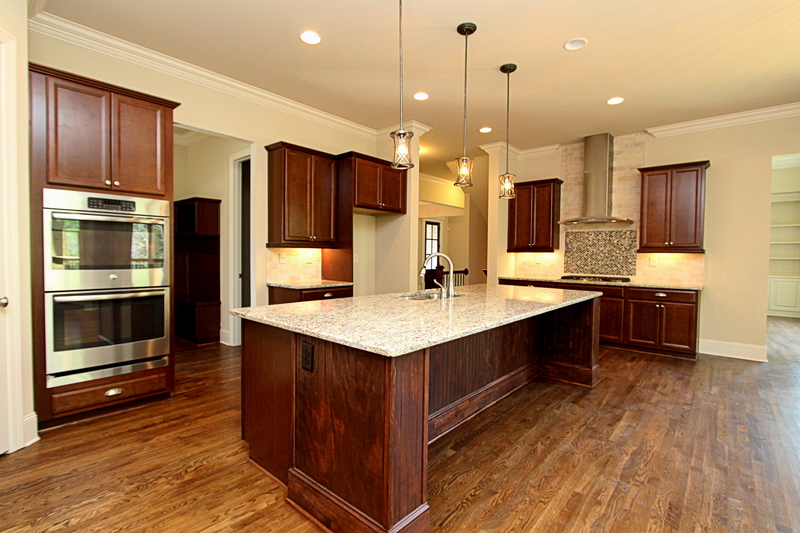 With cutting-edge building materials, new homes today require less care and maintenance. Best of all, today’s latest building systems and components are designed and engineered to work together. 7) Community Amenities: Many new home communities offer a variety of amenities including hiking trails, lakes and ponds, lighted tennis courts, sparkling pools and more and are tucked away among superlative shopping, dining and high ranked schools. 8) Advanced Technology and Design: Replacing new single-pane windows, new insulation and even new pipes and plumbing with high performance materials and products can be extremely expensive to replace. 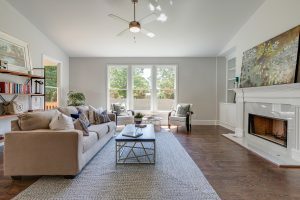 Even replacing these items may not give you the open floor plan or architectural attributes you desire which is one more reason to choose new construction over resale. 10) That New Home Feel: A resale home reflects the original choices of some one else, not yours. Your new home is a place the you and your family can create first time memories. A place that lends a feeling that this haven really IS your new home with nobody else ever having lived in the home before you. Cotton States offers the latest designs, style, comfort and quality. We provide a care-free lifestyle so that you can enjoy your home, not work on it. Stop one of our beautiful communities and find your new quality crafted home that you and your family can enjoy for years to come. 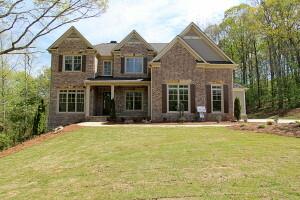 Cotton States has a variety of new homes to choose from in gorgeous communities in the Metro Atlanta area. 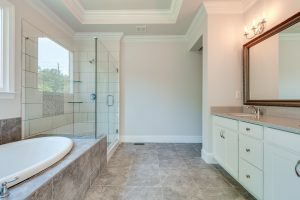 Let us build a quality crafted home for you and once moved, here are a few tips from Kathleen Ashcraft with Newhomesource that will help you and your family settle in to your new place. Tips from the pros to make your move as simple and care-free as possible. When you move into a new home, it’s important to spread the word. Be sure to file change of address forms with the post office so that your mail is sent to your new address. It’s best to do so before you move to make sure you don’t miss important mail, and so bills in need of payment are not delayed. There are a few other places you’ll need to update your address, including your driver’s license, voter registration and credit cards. Be sure to notify the company that provides your auto insurance, as well. A new address can affect rates and they’ll want to know where your vehicle is garaged. Do you shop online? Make sure to update your address at your favorite websites, as well. Also, remember to transfer your utilities (or choose new providers) at your new address. In addition to gas, water, electric and phone, don’t forget to contact your Internet and cable TV suppliers, as well. If you subscribe to newspapers and magazines, remember to change your address with them, too. The post office will forward magazines and mail, but only for a limited time.Unless you stash your money under the mattress, don’t forget to notify the bank, as well. And while you can pay most bills online or by phone, it pays to get checks with your new address, as well. Many things can get lost or temporarily misplaced in a big move. Moving van documents and important real estate papers can all too easily end up looking like trash in the midst of all your boxes, so be sure to keep these papers safe. Your closing documents make note of your mortgage, costs and ownership of the house. Other receipts and papers that document your moving expenses may be tax deductible, so save those receipts. Furthermore, there will be several new appliances and systems in your new home. Keep all warranties and instructions for these items so that you know how to operate them properly or who to call for service. You will thank yourself in the long run. Also, consider changing your locks. Many builders use construction locks during the building process, and only key the permanent locks shortly before you move-in. In that case, it’s likely not necessary to change your locks, but it pays to check. 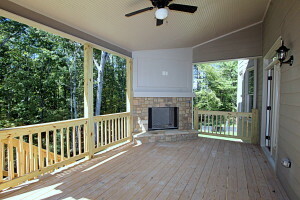 Most builders conduct a final walk-through shortly before you close on your new home. This is the time when last minute details are noted. Many will have been taken care of before you move in. If there are any open items, check with your builder so that each item is attended to. A burned out light bulb, a chipped electrical outlet cover, or a spot of touch-up paint that’s needed are typical items that can show up during a final walk-through. This is the time to make sure you know where the electrical circuit breakers, water cutoff valves and other key aspects of your home are located and how to operate them. Many builders also provide a record of the paint colors and brands, carpet and flooring choices and other decorative aspects of your home. It’s wise to file this information for future reference. Make sure you know where, when and how to change your furnace and air conditioning filters. Jotting down filter sizes is a great idea, too. Last, consider determining the best plans in case of a fire or other emergency. Locating these basic parts of the house and planning ahead will serve you in the future. When you first looked at your new home, I am sure you imagined what it would look like with full paint, furniture and accessories. The first few months of living in your new home is the perfect time to bring that vision to life. Decorate your home in the manner you imagined so that you love it. You must make your home your own if you want to feel comfortable in it and proud of it. Your house doesn’t stand alone; it’s part of a whole community! So, don’t wait for your neighbors to come to you – go out and meet them. Your neighbors can become some of your closest friends. They can help watch your home when you’re away. The benefits are endless. Have kids? Your new neighbors may, as well. A playgroup or swim team may be up and running. Other residents may share your interests. Many a new home community has a vibrant club for movie buffs, travel aficionados, wine enthusiasts and more. Don’t find a group with your interest yet? Start one! Once you and your family are settled and feeling comfortable, celebrate your home with friends, family and neighbors. Show off all the hard work and effort you put intomaking your new home beautiful and unique. In addition, as a bonus, some people have been known to bring gifts to these parties. Kathleen Ashcraft is a writer for NewHomeSource. You can find her on Google+. Cotton States has been building homes and neighborhoods since 1972 and continues that tradition today. We have a variety of neighborhoods, floor plans and areas to choose from. 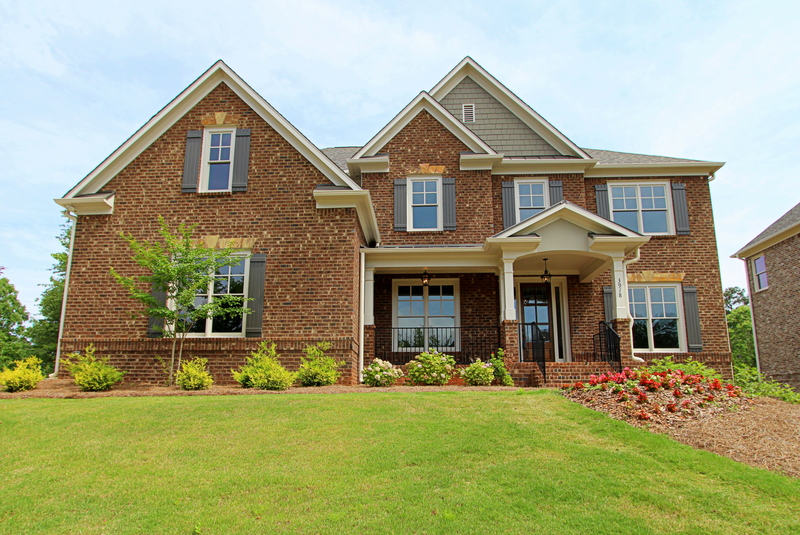 From much sought after East Cobb, to the rolling hills of Cherokee County, Cotton States has the community you’re looking for. Here are some good tips by Liz Gray with HGTV, to get you started. If houses are like spouses, a neighborhood is like the extended family. But while you can have a good marriage and still dread holidays with the in-laws, you’ll never love a house if you don’t like your neighborhood. How can you choose the right community? Become a neighborhood detective. Figure out what you’re looking for, do research and find a neighborhood that fits your description. You don’t even have to wear a trench coat — but it probably wouldn’t hurt. Think about what you’re really looking for in a new neighborhood. Remember, you’ll probably have to make compromises, so put the “must-haves” at the top and the “would- like-to-haves” at the bottom. Not sure what fits your lifestyle? Here’s a list of 12 types of neighborhoods to get you started. No, I’m not asking you to lick your prospective home’s mailbox. But ask yourself if the neighborhood matches your taste in a living environment — and if it meets your criteria. Just because it’s a nice neighborhood doesn’t mean it’s the one for you. If the neighborhood meets your list but still feels wrong, search out another area. Trust your gut feeling — after all, you’re the one who has to live there. Find out how much house you can afford. The amount of money a lender offers you is often more than you can truly afford to pay. Use FrontDoor’s handy mortgage calculator to add all your current debts and see how much you can afford. You don’t want to be stuck eating ramen noodles for the next 15 to 30 years. Draw up your vision of home. It worked for your neighborhood — now think about what you want in a home. Write your own vision of home and stick to it while you’re house hunting. Looking for a home in a top School District? Atlanta Journal Constitution has just published the Top 25 Public High Schools in Georgia. Cotton States Properties is proud to have subdivisions in some of Georgia’s best High School districts! Here’s a look at the top 25 public high schools in Georgia, according to U.S. News & World Report. Criteria used to determine the rankings included how the school fared in comparison to others in its state, the academic performance of the school’s black, Hispanic and low-income students, its graduation rate and how students performed in Advanced Placement or the International Baccalaureate program. The following is the top 25 list for Georgia. U.S. News & World Report reviewed 28,561 U.S. public high schools; 99 Georgia schools made its rankings.